The unfolding story of mom & me at a particular age and stage in both of our lives. Yep, I have permanently grounded Mom, but it’s not for bad behavior, goodness no! It’s because our family unanimously agreed she should no longer have to climb thirteen steps to get to the second floor of her old (1796) colonial farmhouse where her living room, eating area and bedroom are located. The same goes for going down thirteen steps to get to street level. So, Melissa and I transformed the family room on the first floor into Mom’s new bedroom; the dinning room into her living room; and a small space in the kitchen for her to dine. All the rooms, including a bathroom, are within just a few steps of each other. No more climbing steps. Mom will be my “Step Mom” no more. “Step Mom” is what I nicknamed her after writing Sky High Climber in March of 2013, because she could take those steps like she was ascending or descending the tallest mountains on earth … no fear … no complaints. She was like a windup toy. Wind her up and she would grab the handrails and just keep step, step, stepping until she reached her destination. As she approached the stairwell, she would ask me if I thought she could do it. I would say, “Absolutely, you can do it, Mom”. And, with that, she just did it! There was never any hesitation or a time she refused. Never. I was with her every step of way. She would never, nor would I ever let her use those stairs alone. I was always there to steady her or catch her if needed, but I never had to do either. My family has wanted me to move Mom down to the first floor for a long time. I was the lone holdout. For that, I have been challenged, questioned or gently nudged many times over. I understand and respect everyone’s concerns. I know all the safety reasons why Mom shouldn’t be walking up and down those steps. And, I am sure you are making mental notes of your reasons, too. I just couldn’t give in. I literally couldn’t. I just didn’t want to see another chapter in Mom’s life come to an end. All of her strength, determination,will power, grace and style … all of what defines what Mom is made of, who she is, was exemplified in those precious moments it took to walk those 13 steps together. Now, all of that … along with too much more, becomes a memory. Mom has slept in her new bed downstairs for five nights now. Fortunately for her, she hasn’t realized she is in a new place. She had slept in her upstairs bedroom for forty-some years. She had been climbing those steps, including the ones to the third floor, all those years, too. She doesn’t realize she is in a tiny twin bed versus her beautiful mahogany four poster canopy bed dad made for the two of them when I was just a kid. She doesn’t know the difference in her grand, formal living room and her newly converted living area. The only thing she hasn’t forgotten is her smile … her sense of joy. Mom is happy where she is. And, for this, I am happy. For all I can’t forget, and will have no more, I am crying. We’ve climbed a lot of steps together, “Step Mom” and me. And, together, with our heads in the clouds and our feet on the ground … we will continue our climb. Posted in family, life, love, My 91 Year Old Mom and tagged caregiver, caregiving, dementia. Bookmark the permalink. Quick, illuminating exchange with mom this morning. Me: Mom, what’s the name of Jesus’s father? Posted in aging parent, dementia, family, humor, life, love, My 91 Year Old Mom and tagged religion. Bookmark the permalink. She has witnessed ninety-one, going on ninety-two, winters (mom was born Christmas Day, 1919), springs, summers, and falls. And, yes, her world still has seasons. Her ninety-one years on this planet have sharpened all five of her senses that are indelibly linked to the changes the four seasons bring. She does not mince words when describing seasons or the weather. Summer is too hot and too bright. Winter is too cold and too dark. Fall and spring are not too hot, not too bright, not too cold and not too dark. Fall and spring are “just right” … mom’s words for perfect. Mom’s heating and air conditioning bills attest to my commitment to try and make all the seasons “just right” for her. As for mom’s take on the weather, when it rains or snows, it’s too wet. When it’s not raining or snowing, it’s too dry. Thunder is too loud and shaky, and lightning blinks and is way too bright. And that’s it … except for spring and fall. Rain, even if it comes equipped with thunder and lightning, is encouraged and applauded. 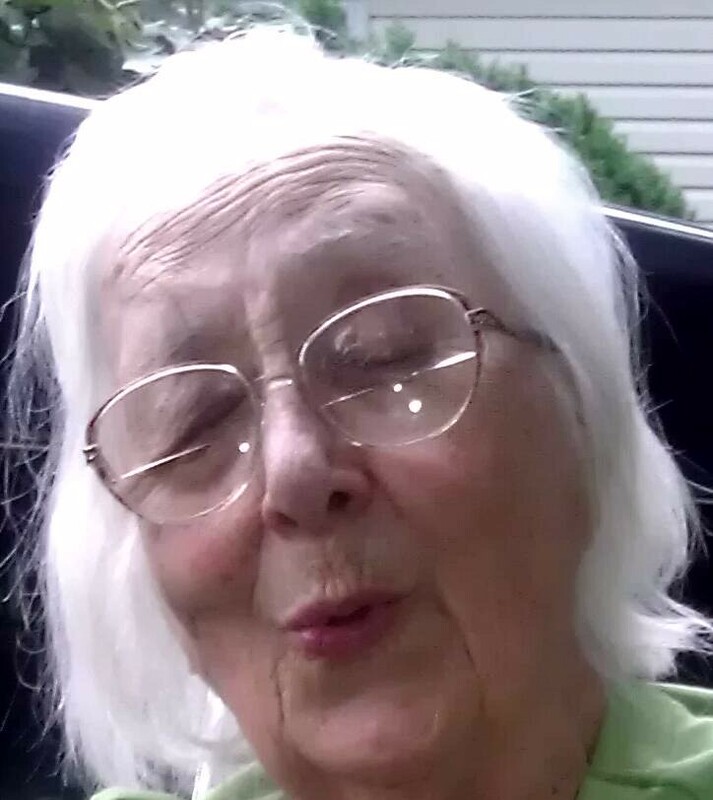 For mom, springtime is for rejuvenation, jubilation and celebration. She instinctively knows everything and everyone made it through the too cold and too dark winter season and that she is ready to rejoice and embrace the “just right” new season with open arms and warm heart. It is the season of Resurrection, rebirth and promise. I believe spring is mom’s happiest season … springtime in Virginia that is! For the last couple of weeks, mom has talked non-stop about what she sees on our drive to and from adult day care. Out of nowhere, mom starts singing one of her favorite songs of late, Bringing in the Sheaves, but this time she substitutes leaves for sheaves. And, I believed that if I only had ears fine enough to understand, the trees were singing in perfect harmony with us. There was not a doubt in my mind that mom was hearing them loud and clear. Posted in family, humor, life, love, My 91 Year Old Mom, personal and tagged aging parent, caregiver, caregiving, dementia, elderly parent, seasons, spring. Bookmark the permalink. Scene: Somewhere, out of the blue. Me: I like bosoms, too. Mom: I think they look good when you put them on your clothes. Mom: I like to put them on my clothes and take them with me everywhere I go. Mom: Why are you laughing? Me: I guess that makes us bosom buddies. Me: I love you, mom! Posted in family, humor, life, love, My 91 Year Old Mom, personal and tagged caregiver, caregiving, dementia, elderly parent. Bookmark the permalink. To the lady who asked me, a nonagenarian is someone in their nineties, not a religious denomination. The population of Americans aged 90-plus nearly tripled in the past three decades, reaching 1.9 million in 2010, according to a new report released by the U.S. Census Bureau and supported by the National Institute on Aging. Those in the 90-plus age range represent 4.7% of the 65-and-older population in the U.S., according to the report. This is up from 2.8% in 1980. By the year 2050, the number of U.S. nonagenarians is expected to more than quadruple to roughly 8.7 million Americans. This age group should account for about 10% of all American seniors. Traditionally, the cutoff age for what is considered the ‘oldest old’ has been age 85, but increasingly people are living longer and the older population itself is getting older. Given its rapid growth, the 90-and-older population merits a closer look. Is 90 becoming the new 85? Ask my mom and she will tell she doesn’t know and she doesn’t care. She will let you know in no uncertain terms that she is nowhere near being ‘old’, much less ‘oldest old’. She will tell you, without any hesitation whatsoever, that she is six! And that’s it! To be fair, there are times mom will tell you, without any hesitation whatsoever, she is two, too. But, women often shave off a few years of there age when asked, so I think she really means six. So, when it comes to mom, throw the nonagenarian descriptor out the window. 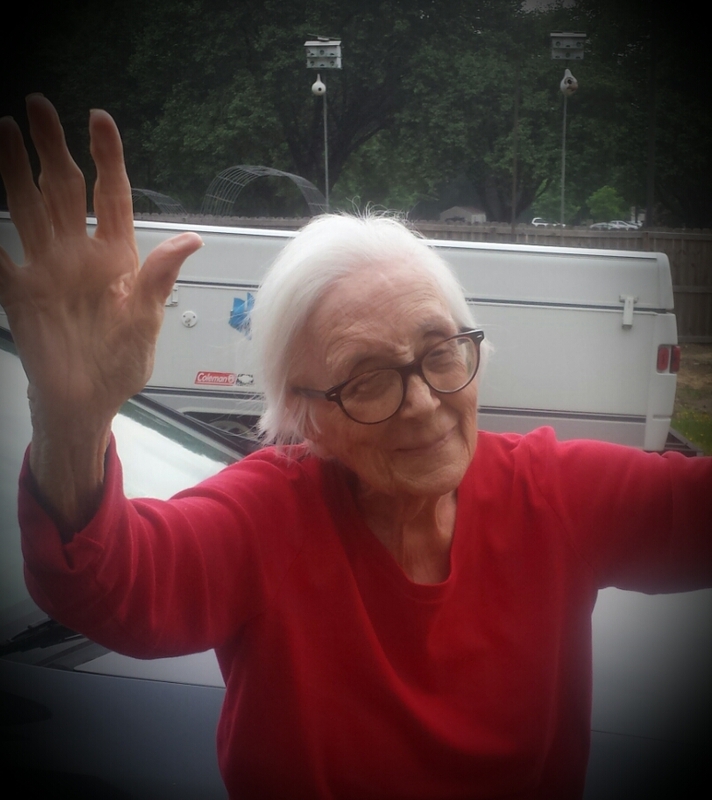 To me, she is a genuine, one-of-a-kind rock of ages, and she is still rocking & rolling through life like she has since she first arrived on this planet anywhere from 6 to 92 years ago. Posted in family, humor, life, love, My 91 Year Old Mom, personal and tagged caregiver, caregiving, dementia, elderly parent, nonagenarian. Bookmark the permalink. Me: Mom, what is death? Mom: Oh, that’s when you get on your knees, crawl on the ground and get in the dirt. That’s it. Your family and friends come and bring some flowers they fixed and talk about the good things you did, if you did any. If you didn’t, it’s a very difficult time for everybody. It takes about two hours … that’s a short time or long time. Posted in family, humor, life, love, My 91 Year Old Mom, personal and tagged caregiver, caregiving, death, dementia, dying, elderly parent. Bookmark the permalink. Love … What is love? Love is to love someone for who they are, who they were, and who they will be. My 92 year old mom wants to get married again! And, if that’s not enough of a shocker, the guy she wants to marry is … me! Yes, you heard it right. I repeat, my 92 year old mom wants to marry yours truly. My answer is always the same. I tell her I want to be with her forever, too. The part I keep to myself is that I don’t want to do it the way she is imagining. The other part I keep to myself is the expression that appears on my face when this topic comes up. I don’t know whether to laugh or cry or both. Am I looking at mom or am I looking at the future? Who doesn’t want everlasting love? I know how much she has, does and will always love me. Her thoughts are unfiltered, spontaneous and are the purest expressions of love you could imagine. To suggest to her otherwise would be worst thing anyone could do. Mom deserves her dignity and protecting it is my responsibility. And, I must admit, I admire her determination. She has always been my role model, mentor, friend, parent, champion, cheerleader, conscience, leader … inspiration. And, dementia has not taken that which is deep within her away. She may not know how to verbally communicate it, but her feelings run deep and are loud and clear. We have always been a mutual admiration society. We always will be. In the morning when I wake her up, she hugs me. I ask if she had some great dreams and, you guessed it, she says all of her dreams are about me. So, this particular morning was no exception. I had been out of town for the weekend doing a keynote speech and workshop on leadership. Whenever I come back from being out of town, mom is beside herself to see me. When she hugs me, she won’t let go and all she does is tell me how much she loves me, that I am her man (or boy) and that she will never, ever, ever let me go, again. If truth be told, I get just as excited about seeing her every morning and especially after being gone for a few days. I adore feeling her warmth and getting caught up in her excitement and love. I hug back and think to myself, I never, ever, ever want to let go of moments like this. I honestly feel like she is going to pull an engagement ring out of her pocket and slip it on my finger. Thank goodness, that hasn’t happened! Somehow the idea of eating Raisin Bran and slurping orange juice through a straw captures mom’s attention and takes the focus and heat off of me … at least for the time being. I wish she could just marry the Raisin Bran and orange juice and be done with it, but then she would be a 92 year old bigamist, and considering what she would be wed to, it would probably go all the way to the Supreme Court! By now I have learned that I cannot predict when or how the subject of marriage pops up. Recently, mom told me she wanted to marry me and be with me forever. After I told her (again) I loved her and wanted to be with her forever, too, she added a new twist. Fred Laughon was mom’s husband and my father. Dad passed away in 2002. He never had great hearing, so I hope for dad’s sake, his spirit is hard of hearing, too. And, in case you are wondering about their relationship … it was the best! That’s a book, TV series, and movie franchise all to itself, but that’s another story for another time. I must tell you, I am a happily married man, with an incredible sidekick, work partner and constant companion. She is beautiful from the inside out. Melissa, if you are reading this, believe me, you are in no danger of being jilted! Mom loves Melissa, too. But, every now and then she will describe her as, “your girl,” meaning mine. And, when mom does this, I know what will follow. She tells me that she is just going to pack up and leave, because she knows Melissa and I just want to be alone and not be bothered with her being around. If that doesn’t sound like teenage jealousy, I don’t know what does. The Supremes sang it best, “Love, love, love, makes you do foolish things”. The really foolish part is that I take the bait every time and explain that Melissa and I want to be with her and her alone. That she is the center of our universe, etc., when all I really need to do is suggest some vanilla pudding or a chocolate cookie. Oh well, life’s lessons don’t always come easy. Today, on the early morning drive to her adult daycare, I was totally caught off guard when mom squeezed my arm and told me she didn’t think it would be a good idea for us to get married. All I could muster was, “Mom, would you love a chocolate cookie?” I always keep a few in the car for treats. Mom didn’t hear me because she was counting headlights on cars as they whizzed past and was already up to eleven. Posted in family, humor, life, love, My 91 Year Old Mom, personal and tagged caregiver, caregiving, dementia, elderly parent, marriage. Bookmark the permalink. Welcome! I'm Tom Laughon (Lawn), the primary caregiver for my 97 year old mom, Helen! I guess you could say my mom taught me the values, mindsets and skill sets to get where I am, and now I am using all I have learned, and continue to learn, to show my gratitude and love for her at this stage in both of our lives. My mom has sure been my champion, cheerleader, teacher and "primary caregiver" for as long as I have been on this planet. She is an amazing, joyful human! I invite you to follow our journey ... we would love to have you hop aboard for what promises to be a ride of a lifetime! Follow Mom's and My Journey ... The More the Merrier! Just enter your email address to follow "My 91 Year Old Mom" and receive notifications of new posts by email. Thanks for joining our journey!